Located at the top of Mt. 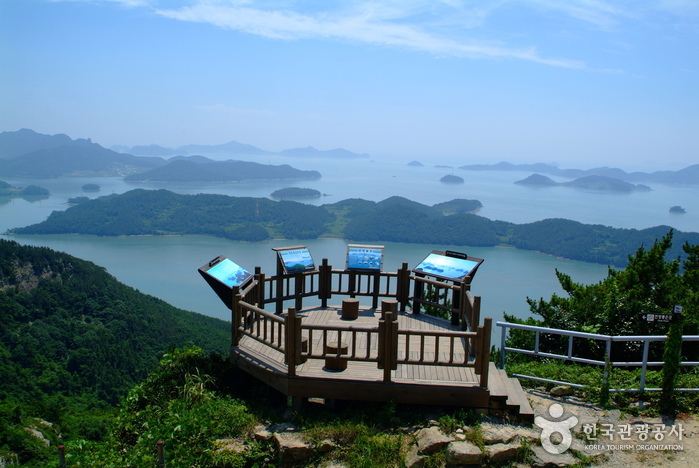 Dorisan in Yeomi-ri of Sangjodo Island, Dorisan Observatory is the highlight of the area, and offers panoramic views of Dadohae and its many islands including Gwanmae, Byeongpung, Nabae, Daema and Soma Islands. 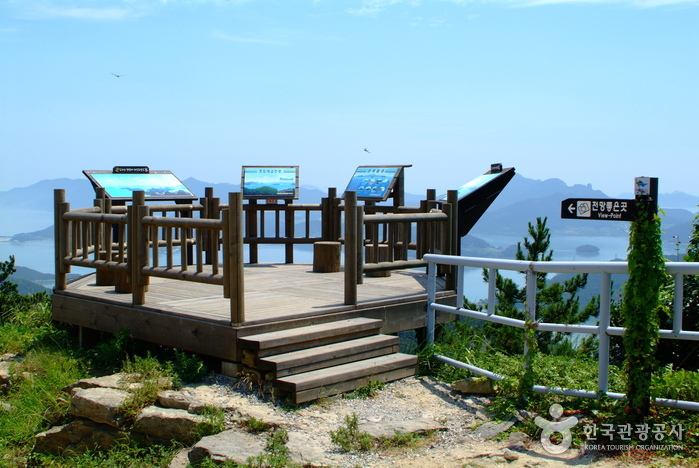 The eco-friendly structure provides panoramic views of nearby islands that locals like to say, “appear scattered over the sea like a flock of birds over water.” Visitors can enjoy majestic sunrise and sunset views, and on days with clear visibility, can see Bogildo Island in Haenam and even as far as Hallasan Mountain and Chujado Island in Jeju. 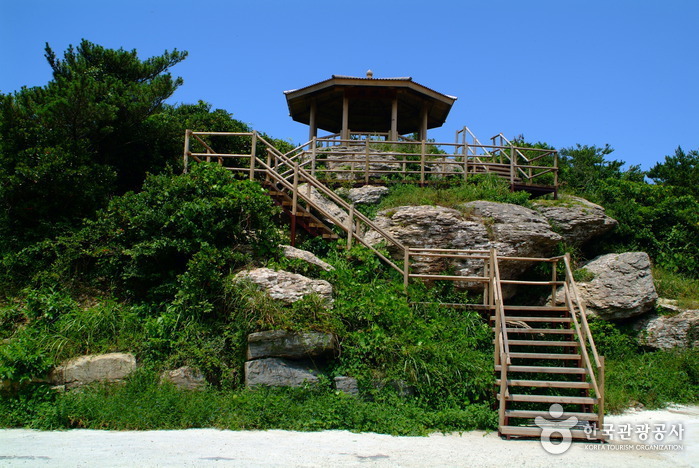 Another of Jodo’s attractions is the nature lover spots on Hajodo Island. 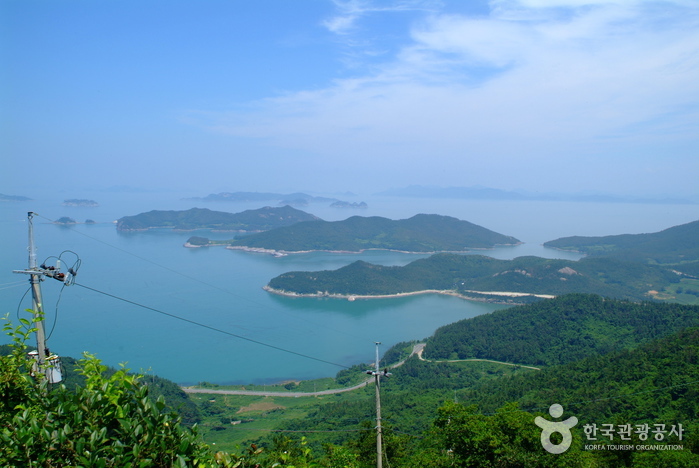 Jodo is comprised of the Sangjodo and Hajodo Islands connected by a bridge. The entire area is filled with pine trees and has plenty of beach access. 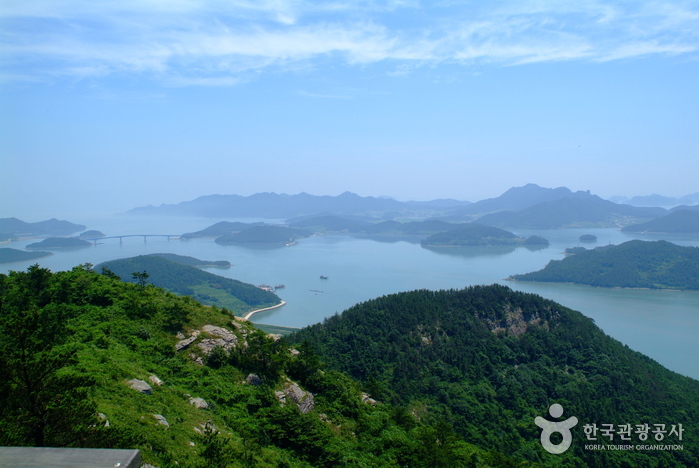 The nearby Dondaebong Peak (230m) and the Hajodo Lighthouse offer comparable views and scenic landscapes for visitors in the area to enjoy.